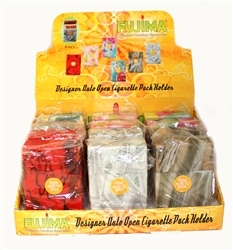 Push to pop the top open on these fun and stylish cigarette cases. 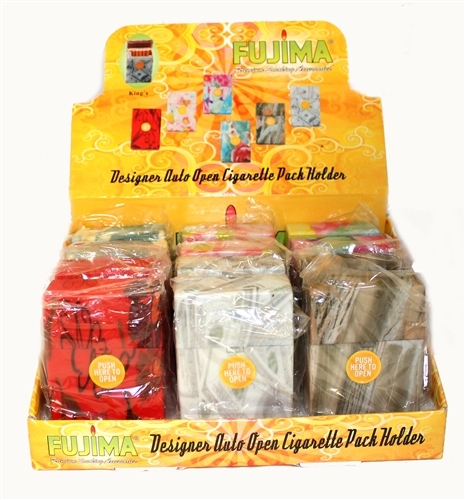 Each display contains 2 each of 6 different styles for a total of 12 cigarette cases. customers are very happy with the variety and durability of this item.